Lostpedia Blog: Happy Lost Day! Win a copy of Bad Twin! Well the day has finally arrived, its September 22nd, the day Oceanic Flight 815 crashed onto the Island and the day the world brought us Lost. Its been four years now, and for Lostpedia it also marks our third year anniversary. Yes, on September 22nd 2005, Lostpedia launched, and since then we have grown to become one of the world's great wikis, of course building and expanding to include a thriving Forum, a charming chatroom, and an often when I'm at the helm bombastic blog. 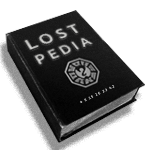 To celebrate the day though, I've decided to run a second Lostpedia competition, after the success of the first one where I gave away a copy of Lost: Via Domus (the winner has since received his goods, and is probably playing it as I type!). 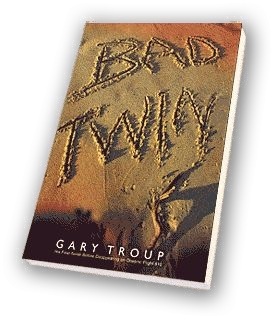 This time we have up for grabs a copy of "Bad Twin" by Gary Troup, who coincidentally died on September 22nd after the crash. As with the last contest, winning entries go into a hat and the one I pick out of said hat gets the prize, which I will send anywhere in the world for you (speed of delivery depends just how far I have to send it!). Again, legal mumbo jumbo about how I can't be held responsible should it get lost, yada yada, all rights reserved and all that, I keep your email details/personal info safe, blah de blah - you agree you won't sue me for some unforeseen reason, etc etc. How do you enter? Well, all you need to do is listen to the audio below (aptly 1:08 in length as a matter of fact), and figure out what the message is. Its actually the answer to a question - if you can figure it out, tap it to nickb123ATlostpediaDOTcom along with your public username and what country you're from. Please also explain how you got the answer in the response, pot luck correct replies won't be counted. The last contest I did, I got LOTS of responses, so please do not be offended if I don't reply to any/all of them to notify you that you're wrong and should try again. I will offer some help and hints when needed, either by email or in the blog comments section. You have until Monday 29th to send entries. Good luck!!! *A big thanks to Congested for helping me record, upload and embed this audio. I've switched to eSnips though after I exceeded bandwidth for Congested's site. If you have audio problems, try a direct link to the audio here. If there's still a problem, contact me and I will email you the mp3 file.